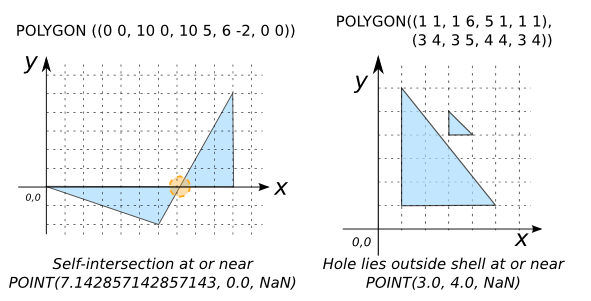 Returns a string stating if a geom is valid or a reason why if it is not. The default of 0 (following the OGC SFS standard) is that this condition is not valid. Set it to 1 to consider it valid (c.f. 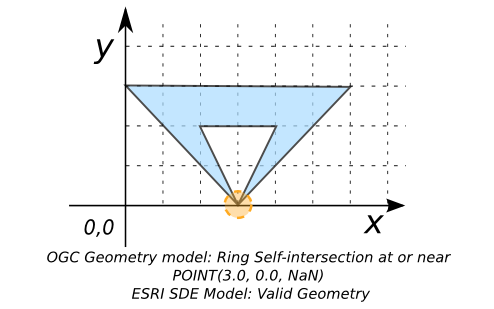 ESRI SDE model).